You can easily include a risk control assessment in your client's portfolio review. 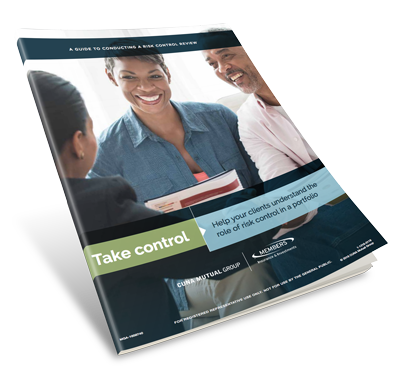 Our "Take Control" campaign provides tools for assessing and gauging their overall need for risk control. Plus, you’ll receive a list of potential targeted client segments to consider when building and executing a marketing plan. Fill out the form to download your guide today.